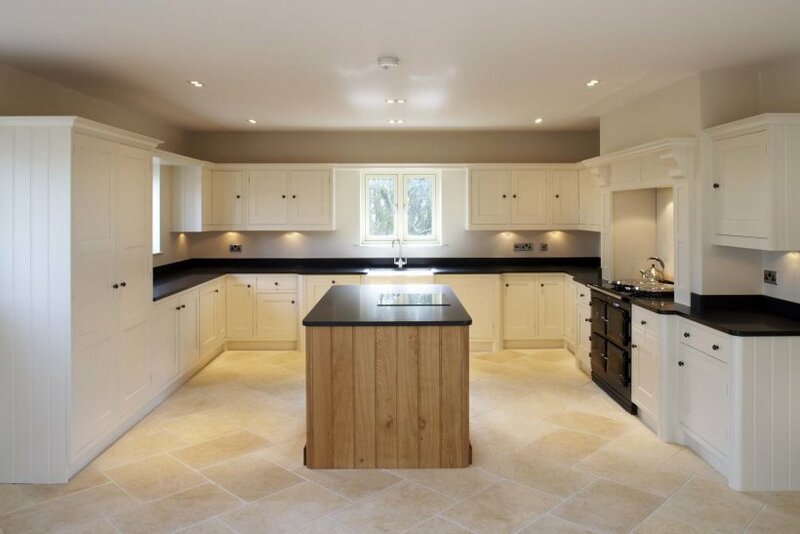 A beautiful new farmhouse for James and Vicky. 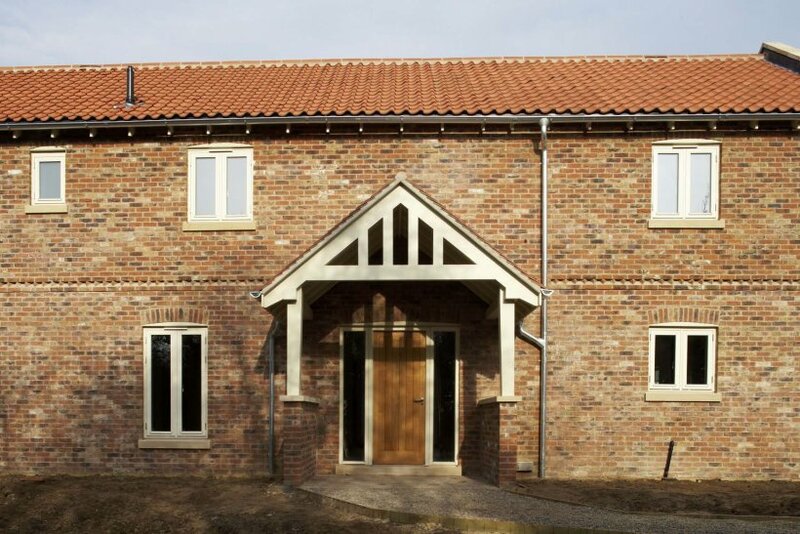 Native secured planning for a replacement dwelling in Hayton, in the East Riding of Yorkshire Council. Planning Policy supports the replacement of dwellings which may be considered uninhabitable or past their useful life. 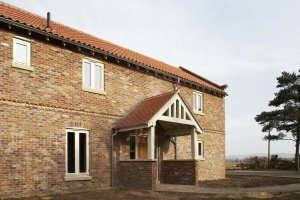 The family owned working farm had not had a manager on this site for a number of years and the old farmhouse was too dilapidated to convert into a new farmhouse and farm office. The new farm house was constructed in a sustainable way with a highly insulated timber frame clad with handmade bricks on a pioneering foundation system called insulslab, a concrete foundation with less concrete due to reinforcing fibres in the mix. 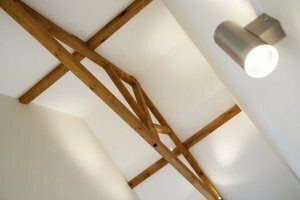 The design is simple and timeless with every room light and warm. The house was carefully integrated into the working farm layout in a traditional rural setting with an interior designed to be hard wearing and visually pleasing. 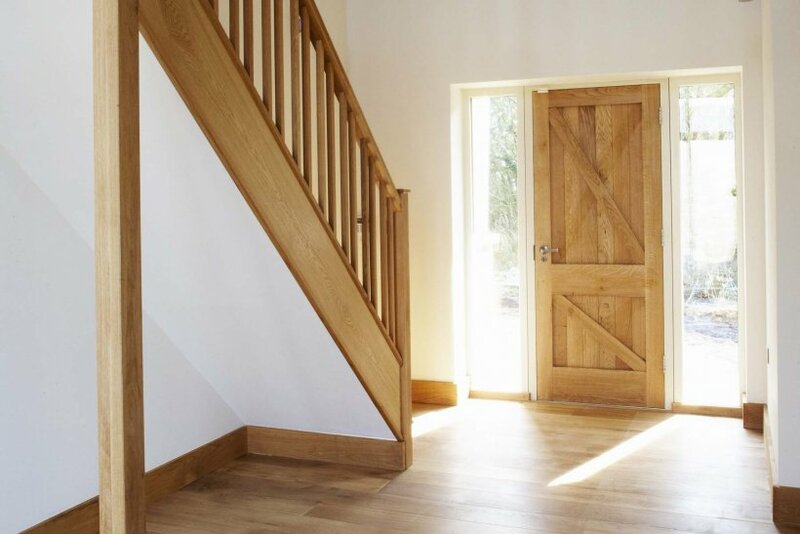 The interior detailing in oak was consistent throughout for floors and all joinery. Triple glazed windows, passive ventilation, wood pellet boiler all combine to create a future proof new house with low running costs and high thermal performance. The house provides a practical, comfortable and sustainable home for the whole family.